There are some 10,000 species of living birds on all continents that have the common characteristics of being feathered, winged, bipedal, warm-blooded, and egg-laying. However, their distinguishing characteristic, when compared with almost all other vertebrates, is the ability of most of their species to fly. The power of flight endowed birds with many benefits, which descended from the winged Archaeopteryx or a related theropod (bipedal dinosaur) some 150 million years ago. In addition to serving as their primary mode of locomotion, flying enhanced the ability of birds to hunt, forage, breed, escape from grounded predators, travel to more fruitful feeding areas, and to migrate. To facilitate their power of flight, birds evolved a number of characteristics: Their bodies are streamlined to minimize air resistance. Their body weight is reduced by hollow bones, the loss or adaptation of nonessential bones, and the lack of a urinary bladder and teeth. To accommodate their need for large volumes of oxygen, their respiratory system is modified. But, by far, the most important adaptations are their feathers and wings, the latter modified from forelimbs. The size and shape of wings and feathers of different bird species have aerodynamically evolved for greater speed, lower energy expenditures, and to better soar, glide, and maneuver. In addition to serving as an aid in flying, feathers also provide insulation against the cold and rain, assist in maintaining body temperature, and are used to attract mates in courtship. Among the most distinctive features seen in birds are the size and shape of their beaks (also called bills), a feature noted by Charles Darwin during his stay on the Galápagos Islands in 1835. This observation provided one of the critical keys in his formulation of the theory of evolution based on natural selection. Darwin noted that the beaks of the dozen finches he observed were adapted to the specific food available to them. While birds use their beaks primarily for eating, beaks are also used to probe for food, kill prey, manipulate objects, groom, feed their young, and during courtship. SEE ALSO: Reptiles (c. 320 Million BCE), Dinosaurs (c. 230 Million BCE), Animal Migration (c. 330 BCE), Darwin and the Voyages of the Beagle (1831), Darwin’s Theory of Natural Selection (1859). 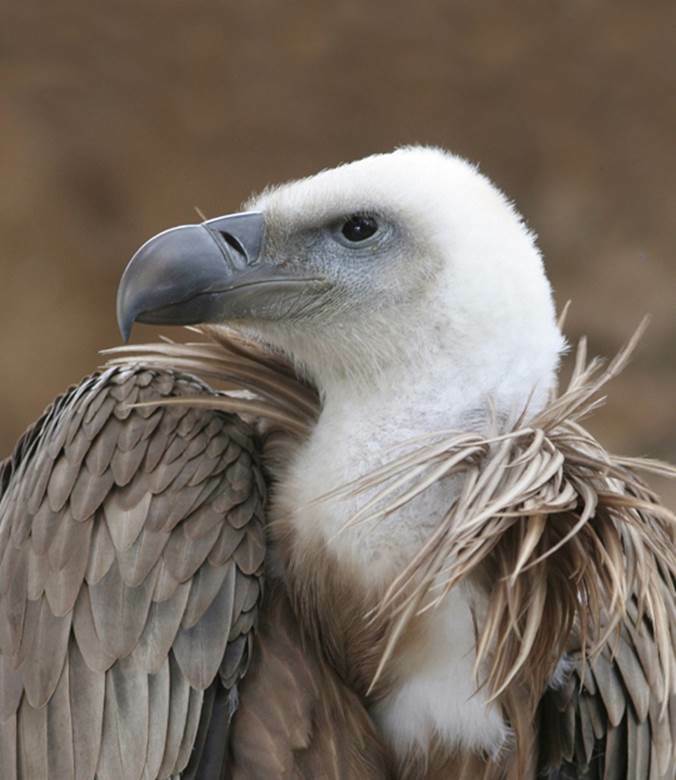 The Griffon Vulture is a bird of prey with an impressive wingspan that can exceed 9 feet (2.7 meters). Like other Old World vultures, it feeds mostly on carrion but lacks the keen sense of smell found in New World vultures.